Mobile radiology providers serve an essential function for hospice and nursing home residents as well as individuals who require home health care on a daily basis. 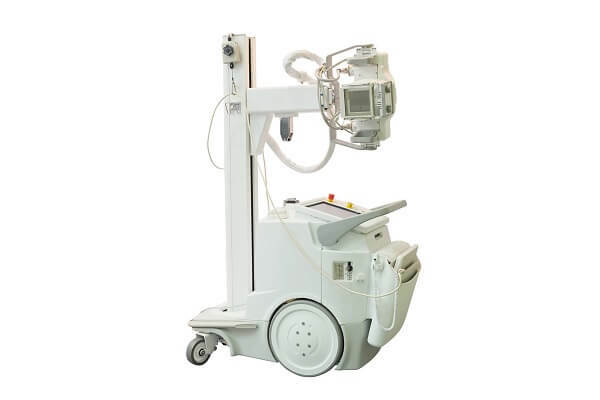 By bringing x-ray equipment and trained professionals to these patients, mobile radiology providers help ensure that these patients receive necessary medical treatment without being unnecessarily exposed to the risks of transportation. A few years ago, the Department of Justice (DOJ), Federal Bureau of Investigation (FBI), Medicaid Fraud Control Units (MFCUs), and the Department of Health and Human Services’ (DHHS) Office of Inspector General (OIG) began aggressively targeting hospice, nursing home, and home health providers in health care fraud investigations. More recently, these agencies expanded their focus to include mobile radiology providers and other entities working closely with these senior caregivers. As a result, mobile radiology providers that serve aging patients are facing federal scrutiny with increasing frequency, and those that fail to defend themselves are finding themselves exposed to substantial fines and other penalties. When facing a fraud investigation involving the DOJ, FBI, OIG or a state MFCU, hiring experienced legal representation is the key to success. Dr. Nick Oberheiden has a national practice and is a highly experienced health care fraud law defense attorney who has successfully represented mobile radiology providers across the country. He has personally handled hundreds of investigations involving these and other federal law enforcement agencies, and he deploys strong strategies with the singular goal being to protect his clients against the risk of being civilly or criminally charged. While federal authorities have a number of tools at their disposal for identifying mobile radiology providers to target in Medicare and Medicaid fraud investigations, most of these investigations result from false and damaging statements by current or former employees. Whether serving as government informants or as whistleblowers under the False Claims Act, these individuals typically have a significant personal incentive to lodge false complaints; and, with the DOJ’s prioritization of health care fraud cases involving providers of senior care, it does not take much to trigger an invasive and potentially-dangerous investigation. Dr. Oberheiden has significant experience in investigations stemming from false allegations. He has the experience to uncover the truth, and he also knows the implications of failing to do so. With mobile radiology providers facing the potential for business-threatening penalties as the result of a single false accusation, Dr. Oberheiden takes a comprehensive approach to defending his clients that focuses on terminating the government’s investigation as quickly as possible and by minimizing unwarranted risk or liability. Hospice, Home Health, and Nursing Home Affiliations – In today’s environment, even simply being affiliated with a hospice, home health care provider, or nursing home can be enough to place a mobile radiology provider on the federal government’s radar. While federal scrutiny of this affiliation may lead to charges against a mobile radiology provider alone, it could also lead to charges for offering and accepting illegal bribes or kickbacks, or for participating in a conspiracy to commit various other Medicare and Medicaid-related offenses. Discrepancies Between Medicare Billings and Radiology Reports – Discrepancies between what mobile radiology providers bill Medicare and what they report to their patients’ caregivers are among the most-common issues triggering federal investigations. Providers must take extreme care to maintain strictly-compliant billing practices, and they must be prepared to substantiate their reimbursement requests with matching documentation. Excessive X-Ray Imaging – Taking excessive and unnecessary x-rays images is likely to trigger federal scrutiny as well. Moreover, what a provider deems necessary based upon the circumstances of a particular patient interaction and what Medicare deems necessary based upon its general billing guidelines will not always (or even often) necessarily align. When an aging patient is uncooperative or unable to maintain the position required to take an x-ray, mobile radiology providers must unfortunately ask, “What would CMS say?” before conducting additional scans. Billing for Scans of Deceased Patients – Perhaps unsurprisingly, Medicare and Medicaid reimbursement requests for x-rays of deceased patients raise red flags with the federal government. While some unscrupulous mobile radiology providers undoubtedly make the mistake of fraudulently billing for deceased patients, these matters are not always as clear cut as they may initially seem. For example, the patient may have died in between the date of a scan and the date that the reimbursement request was received by Medicare or Medicaid. Or, perhaps the patient’s hospice, nursing home, or home health agency incorrectly identified the patient who died. Employee Malfeasance – Finally, in some cases, federal investigations targeting mobile radiology providers focus on the improper practices of one individual employee. An employee who is financially incentivized to perform more scans, for example, may choose to take unnecessary images for his or her own personal gain. Regardless of the specific allegations involved, when facing allegations of Medicare or Medicaid fraud, mobile radiology providers must develop and execute defense strategies that are custom-tailored to the unique circumstances involved in their individual cases. Whether this means disputing misguided allegations or challenging a whistleblower’s credibility and motivation, Dr. Oberheiden can help you choose a strategy with the goal of avoiding federal charges. Are you under investigation? If so, it is important for you to speak with Dr. Oberheiden as soon as possible. To schedule a free and confidential case assessment, contact Oberheiden, P.C. today. If you would like to schedule a free and confidential case assessment with Dr. Nick Oberheiden, please call (888) 519-4897 or contact us online. We will arrange for you to meet with Dr. Oberheiden in person or via phone as soon as possible.